Fredz found some maps we didn't have in the map archive and so uploaded them. One of the maps he uploaded is Death Pit Final by Conor. This is a small, arena style, DM map with a central pit area and an outside corridor. 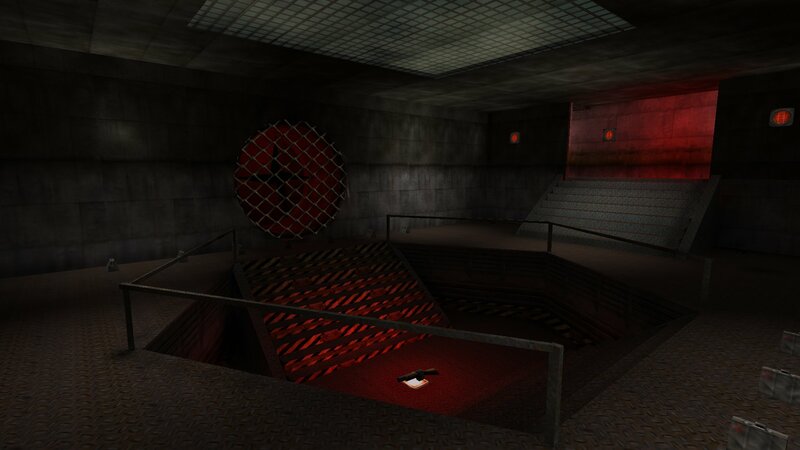 It has a concrete and metal theme with red lighting. It has ample health and armour and all weapons except the tommygun and flamer. You can download Death Pit Final from here. 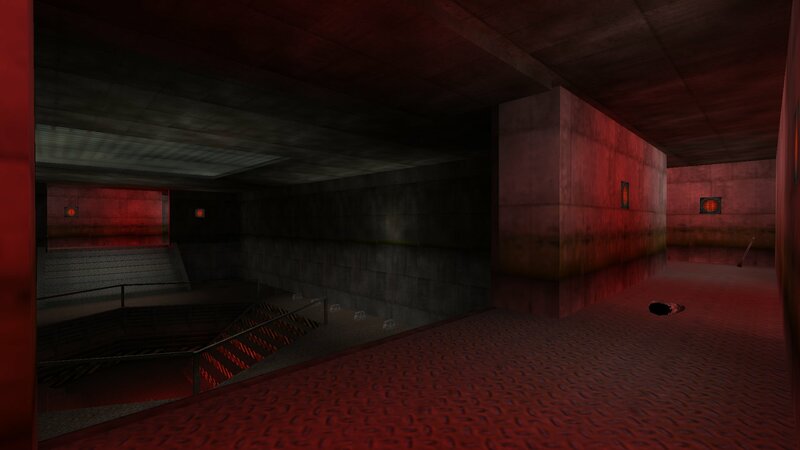 [M] has added this map to his Luschen Botmatch and Deathmatch servers.